Good news for Insiders! A new Windows 10 PC build (16266) is now available to the fast ring insiders, after the last build released two weeks ago. This build includes a no. of new changes and improvements, along with many fixes. Don't forget to read the 'Known Issues' before downloading this build. Sharing here the key improvements, that you can see after installing it. The last Windows 10 Insiders Build (16215) for PC was released two weeks ago, on 8th June, which had a set of new improvements which are going to come with Windows 10 Fall Creators Update. That includes Microsoft Edge Improvements, Cortana Improvements, Changes to Handwriting Panel, OneDrive Placeholders and more. 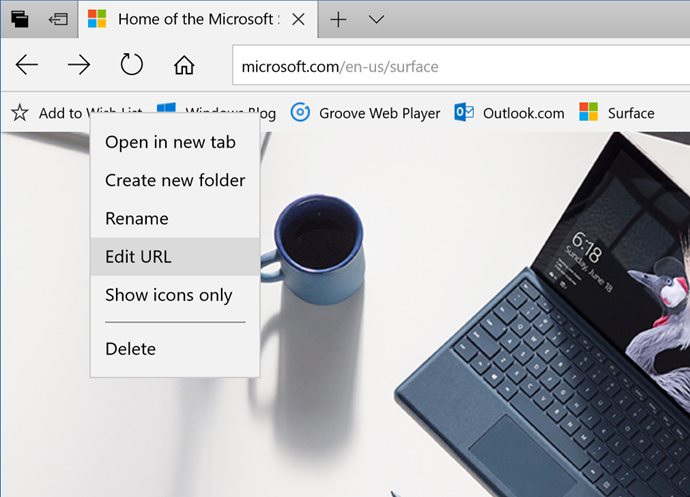 Users can now migrate Cookies and Settings from Chrome to Microsoft Edge. When you select your text on EPUB files, you can now Copy and Ask Cortana in addition to adding notes, highlighting and underlining. You can also add a note and write/draw on EPUB documents in Microsoft Edge with your pen. To see your note, just hover over the note button—no need to open it. Your books from the Windows Store are available on your Windows 10 devices, and your reading progress, bookmarks, notes are kept in sync. You can now view your favorites as a directory tree when you save new favorites, and collapse or expand folders from within the "Add to favorites" dialog. You can now also edit the URL of any favorite in the Favorites menu or the Favorites Bar. IT admins can now configure favorites via group policy and mobile device management. Microsoft has added support for the latest Unicode emojis, that includes new snacks, actions, dinosaurs and fantasy characters like genies, fairies and zombies. All emojis are now accessible via both the touch keyboard and the Emoji Panel. Some original emoji designs has been updated based on the insiders feedback. Emoji panel has been updated to provide a search feature. After opening the panel via the Win + period (.) or semicolon (;) hotkeys, keep typing! The words you type will be used to filter the emoji displayed. If you love dark theme, you can now apply it to the Emoji Panel. Storage Sense UI has been updated to make everything fit together. Storage Sense settings has been updated to include a new option to delete your previous versions of Windows straight from it. A new settings page has been included to configure the Remote Desktop settings. You can find it at: Settings | System | Remote Desktop. The update experience has been improved to help you better understand what went wrong. A selectable error message will get displayed related to the issue that you encountered. Added text to the overflow area in the People flyout to make it more clear the people listed that were pinned. Updated the "Switch apps" button in the People flyout to use the hamburger icon, to make it more visually distinct from the back button. Fixed an issue from the last flight, where the People flyout would crash if you tapped "Find and pin contacts". If you right-click the taskbar, you'll now find an option to easily turn on or off the My People. All Home and Professional editions now have the SMB1 server component uninstalled by default, but the SMB1 client remains installed. You can now share your VMs with ease with the new VM Sharing feature. Along with build 16266, you will find a new icon in Virtual Machine Connection that will compress your VM into a ".vmcz" file. Double clicking on this file, on your destination machine, will start importing the said Virtual Machine file. There are a set of many improvements and fixes along with new insiders build 16266 for PC. Checkout the original announcement to read the entire 'Release Notes' shared by Microsoft. Also, don't forget to read the most important section "Known Issues". Most importantly, if you have .NET 3.5 installed, make sure to uninstall it first before downloading this build. Once the installation completes, you can then reinstall .NET Framework 3.5. If you have come this far, it means that you liked what you are reading (Windows 10 build 16226 released to PCs in Fast ring, with a bunch of new improvements).